Here’s one for you. 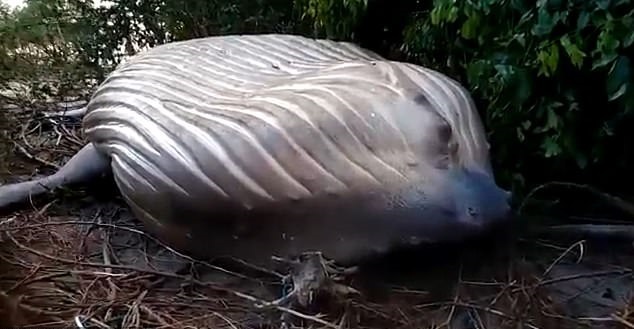 A dead humpback whale has turned up in the middle of the Amazon rainforest, a long way away from anywhere you would expect to find a whale. How bizarre is that? The 36 feet long whale carcass was discovered well outside of its natural habitat, and nobody has any idea how it got there. Well, they have theories, but nothing concrete. The animal weighs 10 tonnes and was found in a woodland area of Brazil that is about 50 feet from the sea. OK, that’s notthatfar, but if you were a dead whale, you would struggle to get out of the sea at all, let alone into the woods. 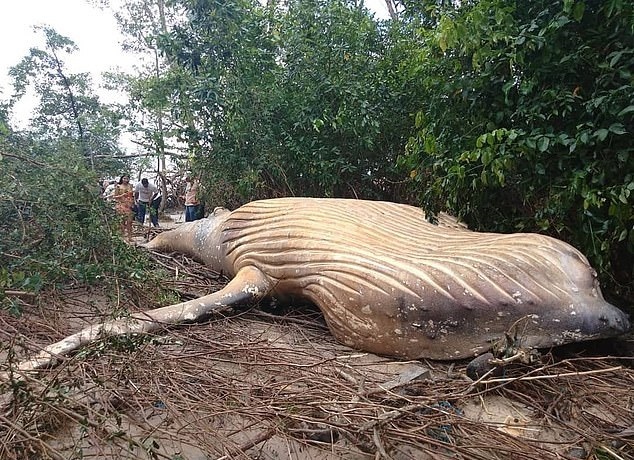 The humpback was discovered last Friday on the island of Marajo, at the mouth of the Amazon river. It was found at a place called Araruna Beach in the undergrowth. The best guess that the scientists can come up with is that the whole creature was thrown out of the water and up into the woods by rough seas and high tides. That could happen, but it’s still incredibly unusual. A team of specialist have travelled to the place to try to ascertain exactly what happened to the poor thing. Good luck, guys. It is thought that the animal is a 12 month old calf, but so far we don’t know how it died, let alone how it ended up in a mangrove. 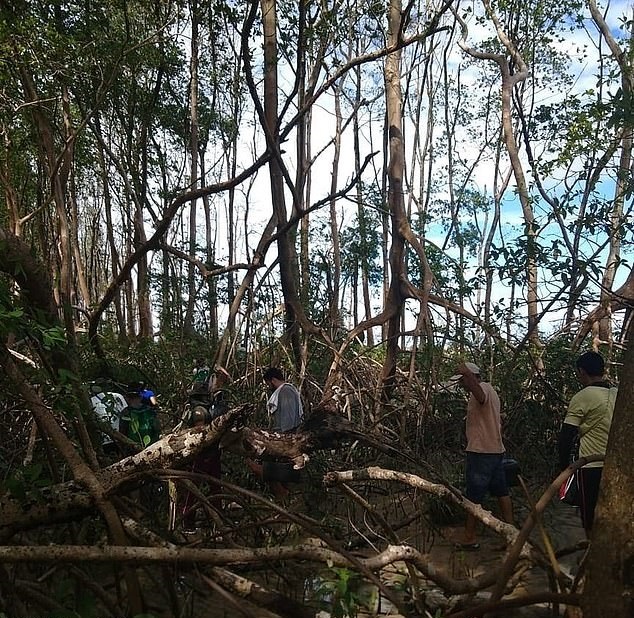 The team, sent by the NGO Bicho D’Agua Institute, published a Facebook post that suggested that the animal could have got tangled up in the mangroves after being tossed ashore onto the island. TheMaritime Heraldnewspaper suggested that the whale could have died from eating plastics in the ocean. Most people think that the creature was dead when it was washed ashore. 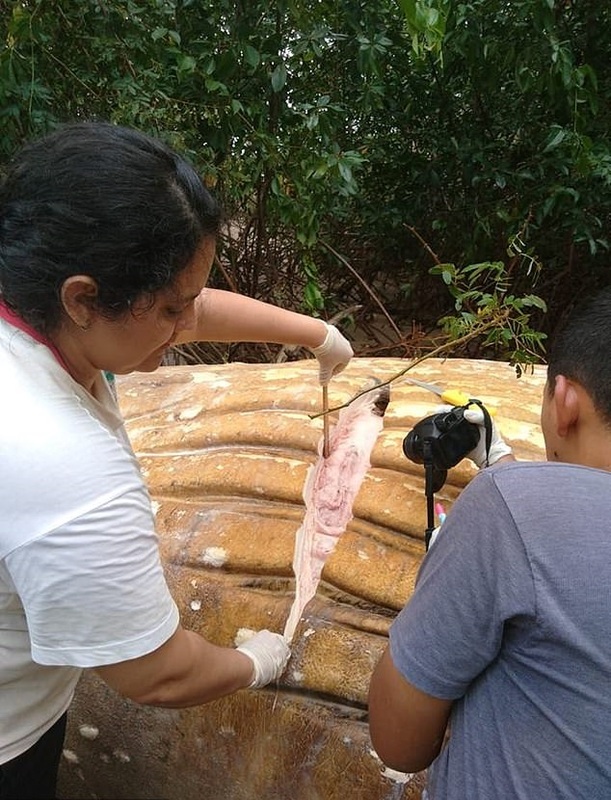 Dirlene Silva, from SEMMA – the Brazilian environmental, health, and sanitation department – told local media: We only found the whale because of the presence of scavenging birds of prey. Bicho D’Agua’s president and marine specialist Renata Emin said: “We’re still not sure how it landed here, but we’re guessing that the creature was floating close to the shore and the tide, which has been pretty considerable over the past few days, picked it up and threw it inland, into the mangrove. You see, the whales aren’t supposed to be there. They’re usually in the Bahia area between August and November. They then migrate up to Antarctica. We will only know what the score is once the forensic tests have been performed to find out how it died. Emin continued: “Humpback whales don’t usually travel to the north. We have a record of one appearing in the area three years ago, but it’s rare. The test results are expected to take up to ten days. Watch this space.